For several years a group from St Dunstan's has attended the New Wine summer conference. This year, it runs from Saturday, July 27 to Friday, August 3 at the East of England Showground, Peterborough. 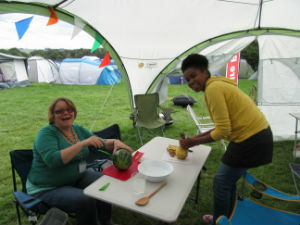 As well as the fun of camping together (some stay off site or hire a caravan if you're allergic to canvas!) there are some great speakers, opportunities to worship with thousands, and excellent kids groups.